Car Dealership Oakville – Budds’ BMW Oakville. When you are looking for a new vehicle, we know how important it is to find a reputable and trustworthy car dealership Oakville that will give you the best service and the best selection at the most reasonable prices. This is why we recommend that you come into Budds’ BMW Oakville today and check out our massive inventory of quality BMW vehicles, and be assisted by our world class representatives. Whether you are looking for a new car to treat yourself, or you are wanting a quality pre-owned vehicle, we have got what you need. BMW is a premium brand, and our car dealership Oakville only carries the best exceptional driving machines. Our professional representatives will be able to assist you with your search for your dream car as well. We pride ourselves on being your vehicle encyclopedia giving you any information you require about any vehicle you are looking at. We give our clients quality customer service from the moment you step foot into our car dealership Oakville. Searching For Your Dream Car Has Never Been Easier. Budds’ BMW Oakville has made it easy for customers to search for their dream cars. Through our online inventory, customers are able to search specific criteria in order to find the right BMW vehicle for them. Wit our online car dealership Oakville, customers will be able to look at any BMW vehicle, and get a large amount of information about that vehicle. This is a convenient service because it allows customers to narrow down their search, and gain some initial information about the vehicle before they come into our car dealership Oakville and speak with a representative. You can get information about the vehicle like the transmission, body style, engine, exterior color, interior color, wheel size, fuel type, drivetrain, and financing information. You Can Compare Vehicles By The Click Of A Button. 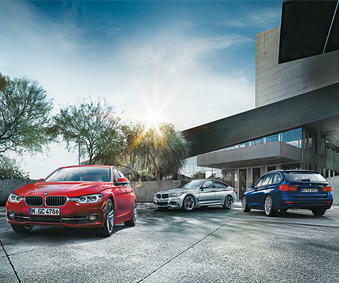 Budds’ BMW Oakville online car dealership Oakville also has an option to compare vehicles. With this option you can select a car, and then click the add to compare button on the top right of the screen, and the car will be added to a separate list so that you can compare your choices together on one spot. This is a very convenient tool for someone who is looking at a few vehicles and wants to narrow down their search without having to switch back to other pages on the site. Budds’ BMW Oakville has made it easy for our customers to find a car dealership Oakville that is trustworthy, reliable and convenient for them. We recommend that you come into our dealership today and check out our showroom of exceptional driving machines, and speak with one of our professional representatives about the car you are looking at.